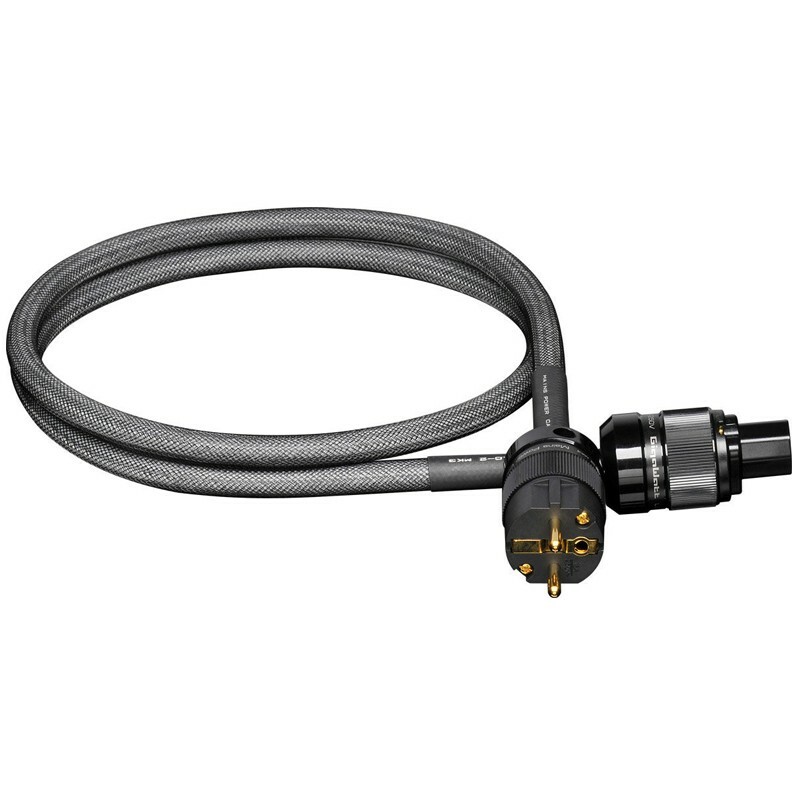 The Gigawatt LC-2 MK3 power cable is a newer version of the Polish manufacturer’s best buy. This power cable was made by avoiding all compromise. 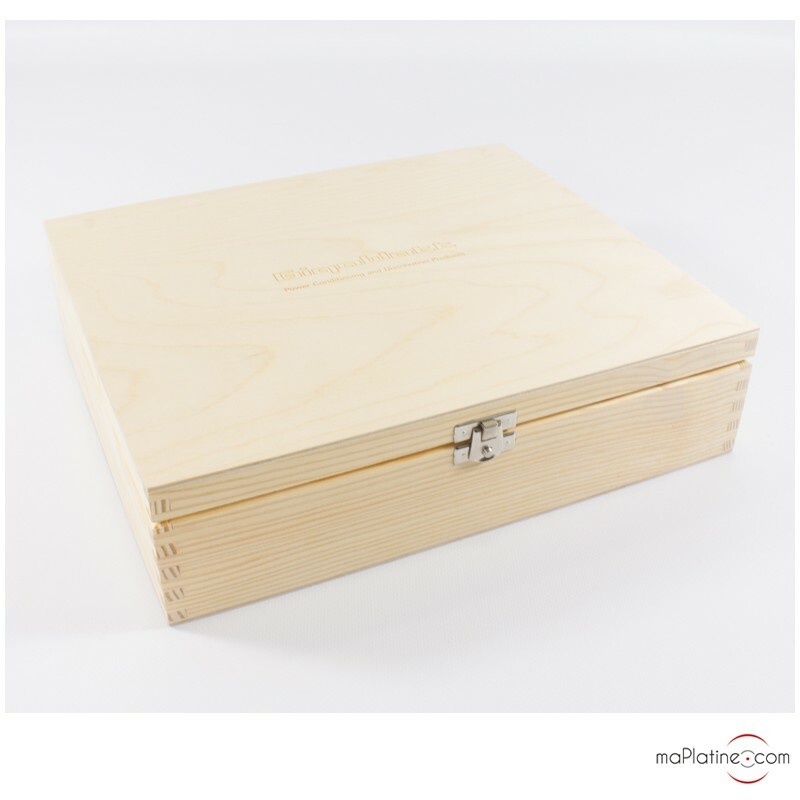 The LC-2 MK3 has been designed to power high end audio or video equipment. 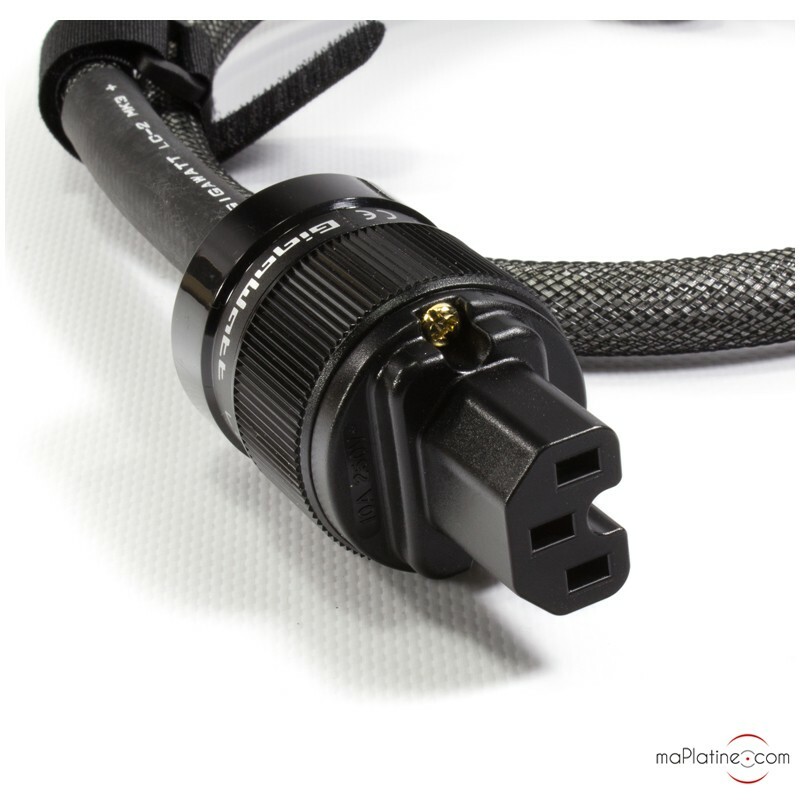 This high quality power cable is also included with a version of the Gigawatt PF-1 power strip. This cable uses a new high conductance conductor which enables a perfect transmission with lossless flow of power. Each conductor is made up from a body of six solid core conductors, with a respective section of 16 AWG (1.5mm²). They are made out of high purity electrolytic copper. The insulation of the conductors is made out of polyethylene. The external insulation of the cable is made out of a PVC sheath, doubled by a nylon braid that is wear resistant. 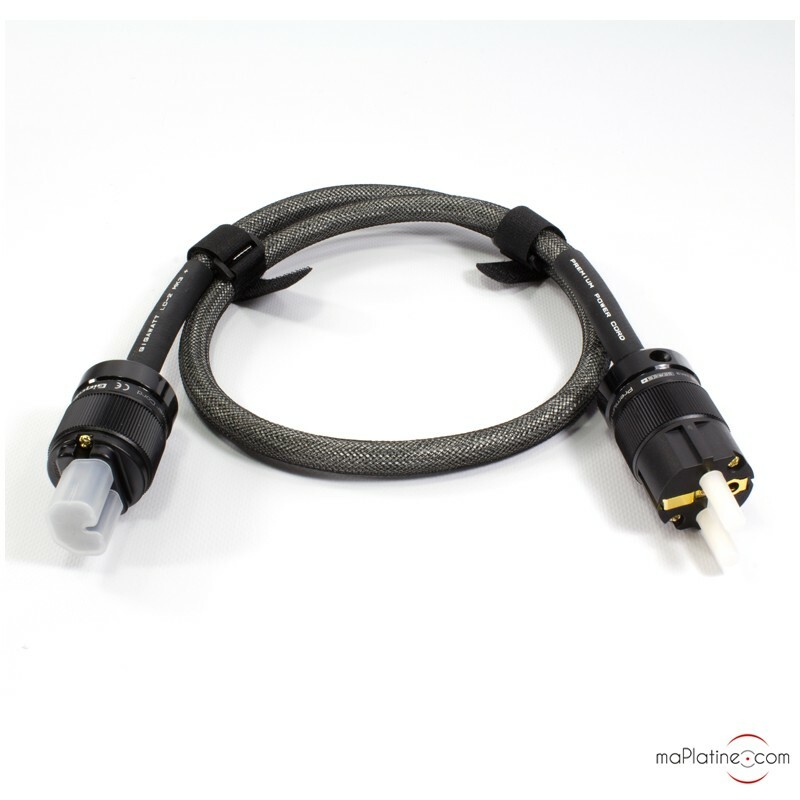 During the manufacturing of this Gigawatt LC-2 MK3 power cable, a great amount of attention was devoted to the reduction of vibration between the conductors that produce an electromagnetic field. All of the conductors and the shields are covered with synthetic material damping vibrations. The high cross section of the conductors guarantees a very low resistance and a practically unlimited current flow. The spiral geometry of the conductors, combined with the cable’s high capacitance, enable to naturally obtain a filter by damping a large spectrum of interferences. The cables are protected by a shielding screen made out of laminated aluminium foils. This shield is connected to a drain terminal which covers the entire length of the power cable. It is also connected to the ground of the Schuko plug. This architecture, 100% impenetrable, protects the conductors against any external interferences and prevents the emergence and spread of internal interferences. 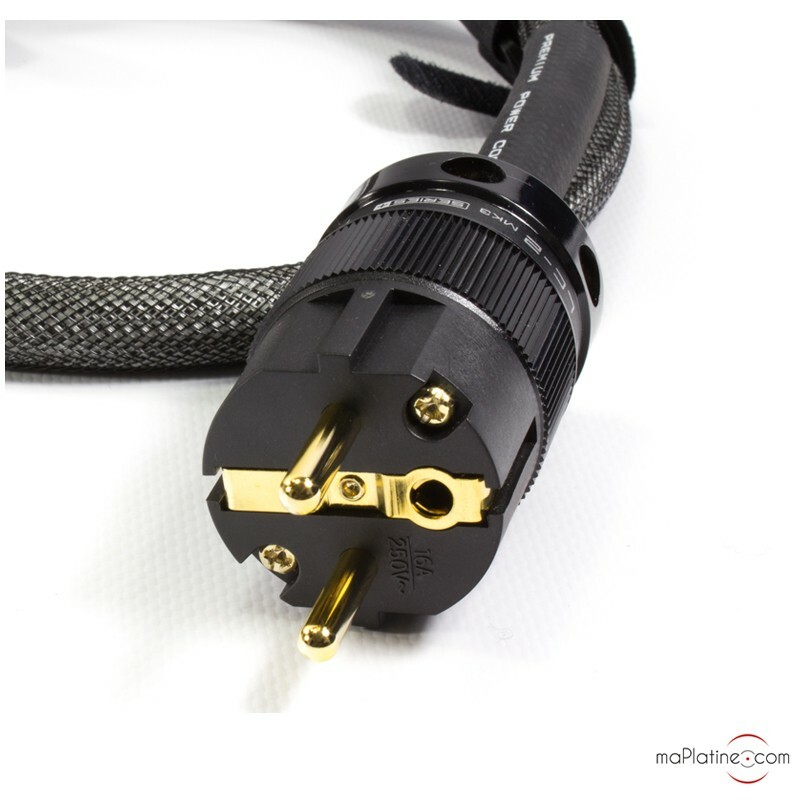 The Gigawatt LC-2 MK3 power cable is equipped with proprietary plugs of high quality, manufactured according to Gigawatt’s specifications. These plugs are characterized by a low resistance and gold brass contacts. Before assembly, they were de-magnetized and cryogenically treated. No solder was used to connect the conductors, as they were bolted. This guarantees a high reliability and an optimal performance. The restitution is clear and defined. This Gigawatt cable favours a lively and expressive restitution. The balance is excellent and does not favour one part of the spectrum in particular. It will do wonders on devices or systems that require neutrality. 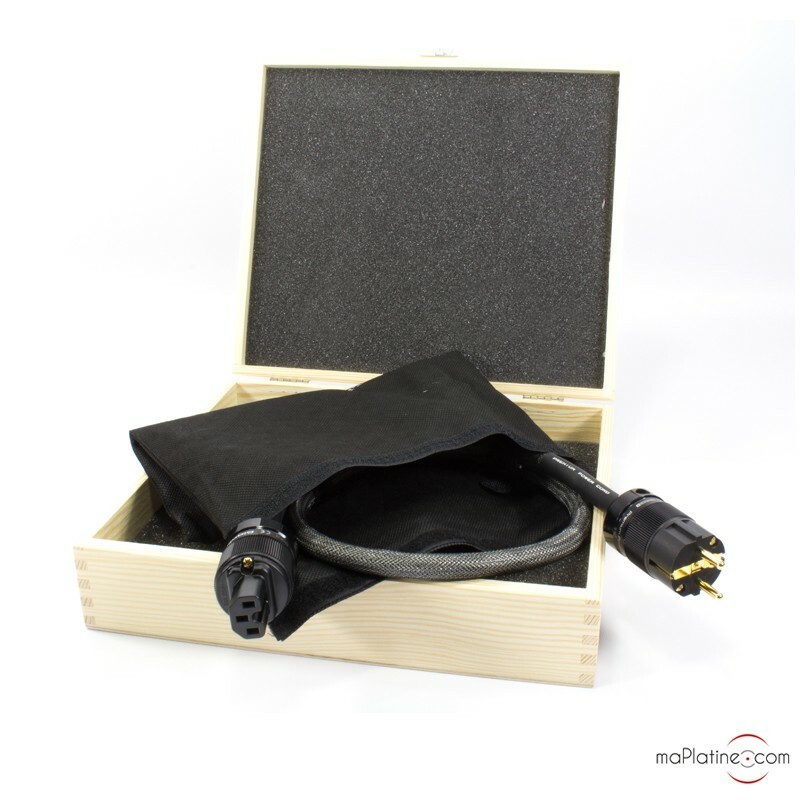 This Gigawatt LC-2 MK3 power cable has a remarkable price/quality ratio and can be combined with very high end components.